Kentucky has a rich history in pari-mutuel racing and will soon hopefully include legal Kentucky sports betting in that history. Although the famous Kentucky Derby has been running since May 17th, 1875, Kentucky itself is rather strict when it comes to gambling. There are no casinos in Kentucky and right now, sports betting is not legal. But there is hope for Kentucky yet. They have recently put up a state lottery and allowed bingo parlors to operate. Daily Fantasy Sports (DFS) also has a home in Kentucky. Most importantly, there are bills being introduced in Kentucky’s state legislature that will make sports betting legal. 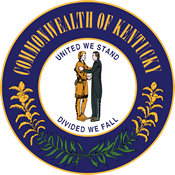 Until these bills are passed, the best way for you to enjoy legal Kentucky sports betting is by going online to an offshore site and place your bets there. 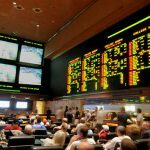 These sportsbooks – like Bovada, SportsBetting, BetOnline, 5Dimes, and others – operate outside of the United States and allow for locals in Kentucky to place bets on their favorite sports. The sites are outside of US and Kentucky jurisdictions, and its 100% legal for betters to wager on sports games there. Until KY sports betting bills are passed into law, these offshore sites are residents’ best way to enjoy legal Kentucky sports betting. 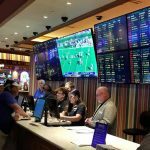 Is Land-Based Sports Betting Legal In Kentucky? Currently, land-based sports betting is not an option in Kentucky. There are no sportsbooks opened in the Bluegrass State, and Kentucky locals cannot open an online sportsbook, either. If Kentucky locals want to enjoy land-based sports betting, their closest option would be to go to West Virginia and make sports bets there. Since driving or flying to West Virginia is inconvenient, our recommendation for locals to enjoy legal Kentucky sports betting is to use the internet. Thanks to the internet, KY bettors can enjoy sports betting by accessing offshore websites and placing their sports bet there. These sites are 100% legal to use, so locals can rest easy while placing their bets. Is It Illegal To Bet On Sports Online In Kentucky? Although the state can be rather strict with regards to gambling, it is not illegal to bet sports online in Kentucky. 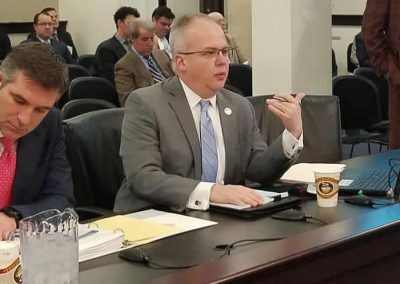 Rather, there are simply no regulations against sports betting online in Kentucky, and because there are no regulations against it, it is not illegal. Kentucky is more concerned with going after bookmakers and operators rather than going after individual bettors. If that is not convincing, then rest easy and know that Kentucky has no jurisdiction over offshore websites. Using these websites is the best way for you to enjoy legal Kentucky sports betting online. If bettors are still concerned, they can further enhance their security by using Bitcoin to eliminate a “paper trail” while using these offshore websites. Is There Anywhere In Kentucky That I Can I Bet On Sports? Until the state passes sports betting laws legalizing the activity, there are no land-based locations in Kentucky where you can bet on sports. The good news, however, is that you can just stay at home to do your sports betting from there, safely and comfortably. No need to get stuck in traffic or wait in long lines when offshore sites like BetOnline and Bovada are available at your fingertips. You can access these offshore sites on your mobile device and take legal Kentucky sports betting action wherever you go. Kentucky has a strange mix of what is allowed and what is not allowed in regards to gambling laws. Pari-mutuel racing has a long history in Kentucky, so that is, of course, legal and allowed (as is instant racing betting). Kentucky has also installed a state lottery alongside high stakes bingo. But casinos are not allowed to operate within state borders. More importantly, sports betting is not regulated by the state. But that will soon change. There are currently two bills in Kentucky’s state Congress that will legalize sports betting within state borders. Bills KY H12 and KY S 23 will legalize and regulate sports betting in Kentucky. 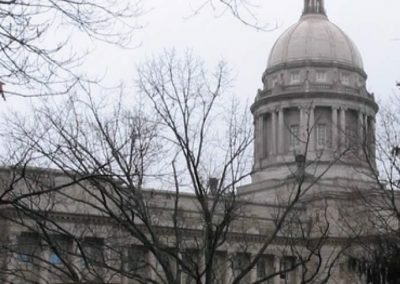 Although Kentucky is strict against casino gambling, there is a good chance that these bills can pass and legal Kentucky sports betting will happen in land-based locations within the state. Kentucky is proud to say that they have heavy hitters when it comes to Division I collegiate teams. Sports bettors can rest easy if they choose a team from Kentucky to bet on, but that is not their only option. If bettors from Kentucky visit an offshore site like Bovada or 5Dimes, they can not only bet on one of their local teams, they can bet on any team from nearly any sport. The pride and joy of Kentucky is the Kentucky Derby. The Kentucky Derby has a long history within the state and it’s the world most prestigious horse race. Unfortunately, that means going there will be extremely crowded and busy. If you don’t want to deal with the crowd but you want to make bets on the Kentucky Derby, it’s never been easier. All you have to do is go online to an offshore site like SportsBetting and look for the racebook. There, you can enjoy and bet on the Kentucky Derby without having to deal with the huge crowd, and you can also wager on daily races simulcasted from all over the US and UK. Daily Fantasy Sports (DFS) is in an interesting position in Kentucky. Fans can readily enjoy both DraftKings and FanDuel while in Kentucky. The interesting thing is that Kentucky failed to pass a bill that would have regulated DFS within state borders. But this is not a negative thing, all that means is that DFS operators do not have to report to the state legislature. DFS players can still access DraftKings and FanDuel for contests. Players in Kentucky can potentially large cash prizes in public tournaments even if they don’t finish first. Or they can play in private contests against their friends. Can I Bet Real Money On Sports In Kentucky? Using real money is the best way to take part in legal Kentucky sports betting. If you go online to one an offshore site like Bovada, you can bet and win real money. You will be making bets against bettors all over the country and hopefully winning some of their money in the process. If you win, you can get a wire transfer to your account or accept your winnings in the mail. Is Online Sports Betting Safe In Kentucky? There are no laws that say anything about bettors making bets online. The offshore sites that we so often recommend are industry leaders in online sports betting. You can rest assured knowing they haven’t had a security breach to date. If you are still skeptical, make sure to use Bitcoin for more anonymity. 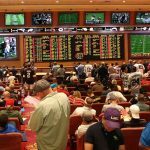 Will Sports Betting In Kentucky Ever Be Legal? It is likely that legal Kentucky sports betting will take place in land-based locations. Other than casinos, Kentucky seems to be fairhanded when it comes to gambling laws. As previously mentioned, there are two bills that are up for review in Kentucky’s Congress. 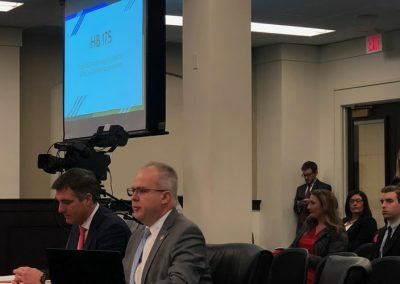 We are hopeful that these bills will pass and sports betting will become fully legal in Kentucky in the near future. Will I Get Arrested For Sports Betting In Kentucky? Even with states that have strict laws against gambling, it’s unlikely that you would ever get arrested for sports betting in Kentucky. Most laws are there to prosecute bookmakers and organizers rather than the bettors themselves. If you go to an offshore site such as Bookmaker or BetOnline (or other top options), you can rest assured that you will not get arrested for sports betting. If you are still unsure about it, you can use Bitcoin to eliminate your paper trail. What Is the Sports Betting Age In Kentucky? 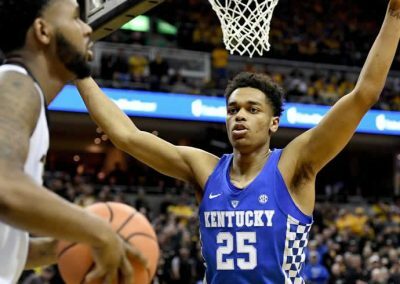 Kentucky once again shows that there is a lot of potential for sports betting in the state by setting the gambling age to 18 years old. That means that bettors can participate in legal Kentucky sports betting on their 18th birthday. Offshore online sportsbook allows for people the age of 18 to place bets, so long as it complies with state laws. Since Kentucky’s betting age is 18, they can go online without worrying about breaking the terms of service on these online sportsbooks. 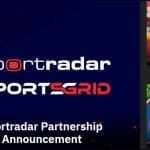 Are There Mobile Sports Betting Apps Available In Kentucky? State-Regulated sports betting apps are not yet available in Kentucky. But that doesn’t mean you are out of options. There are plenty of mobile sports betting apps provided by leaders in online sports betting. All you have to do is go to their website and you are able to download an app from their site. The mobile version of these websites are optimized for whatever smart device you are using to access them and all the same features you enjoy using on the regular website are available for use. Where Is The Best Place To Bet On Sports In Kentucky? Because there is no sportsbook currently open in Kentucky, the best place to bet on sports is on online on your mobile device. Industry leaders like Bovada, SportsBetting, BetOnline, and 5Dimes provide the best online sports betting experience you could possibly have. Thanks to that, the best place to bet on sports in Kentucky is anywhere you choose to make bets on your mobile device. Should I Use A Local Bookie In Kentucky? Using a local bookie in Kentucky is the absolute worst way to make a sports bet. It is also the best way for you to get into legal trouble. If you are caught using a bookie, any winnings you would have gotten will go down the drain with all the legal trouble you would be in. Take the safe route by going online and using an offshore sportsbook instead. Do Any Casinos In Kentucky Have Sports Betting? Because there are no casinos in Kentucky, sports betting in a Kentucky casino is impossible. You could go to a casino in West Virginia to do your sports betting, but that is far more inconvenient than going online to Bovada or any other offshore website for your sports betting needs. 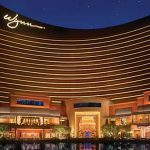 Perhaps the passage of the bills currently up in Congress will create a path for casinos to be opened and sportsbooks being available there. Until then, offshore sites are your best bet. Is It Legal To Bet On Sports With My Friends In Kentucky? Social gaming is legal but there are conditions that you will have to abide by. The biggest condition is that whoever is organizing the event is not seeing a profit. Of course, they can participate and play in the games, but they can’t be keeping money by collecting fees for participating or bookkeeping. So long as everyone there makes bets within the same pool prize pool, this is another way for bettors to enjoy legal Kentucky sports betting.